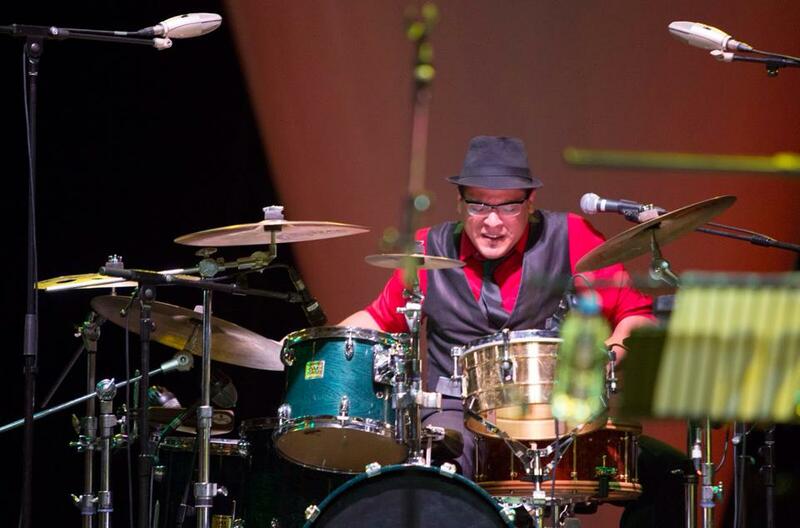 Pantheon Percussion endorsee Pablo Calzado steaming it up at Esplanade’s July Jazz program with the Havana Social Club with some Cuban music! 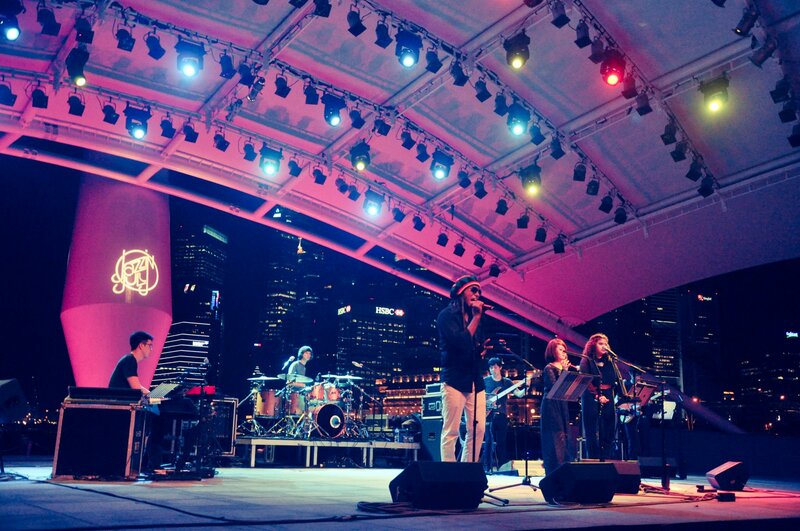 Pablo and gang played to a massive crowd at the Esplanade Outdoor Theatre and really made us proud. Read more about it and see some great pictures in the article but the wonderful Cees Van Toledo. Contributing to that awesome sound is his 10-ply Maple snare with a gorgeous Amboynia Burl veneer. This snare features 24k Gold and Brass hardware, Canopus vintage dry wires, and an extremely powerful set of 32-ply maple hoops with countered cuts and Bubinga inlay by Stellar Hoops. Is that exotic or what? Yes and we the only ones who have them at a special price…:) Oh yeah Pablo uses our sticks too! Pantheon Percussion: Gorgeous, pre-loved Birch snare available now! This gorgeous, hand-stained, 10-ply, 14 x 6.5 birch snare with Gold and Black Chrome hardware is going for only $700 even though it has been used ONLY ONCE. It’s a steal! A snare with such specs usually retail for $900. Very rare deal people. Don’t wait! Riduan Zalani, Idham Budiman, and Samba Masala share the stage with Batucada Sound Machine at the Coburg Festival 2014. Riduan plays his trusty vented 12 x 5 Starglow White Acrylic snare when travelling so hear it in action here! Pantheon Percussion endorsee Adam Shah is a very well endorsed man, but he never tires of Pantheon Percussion snares. We have a successor to the crown of this setup in the works. It’s going to be even more frightening than “The Beast”, his 14 x 8 Brass snare: a 1/2″ thick 14 x 6.5 Cocobolo Stave monster. Im not sure what to call it now…. 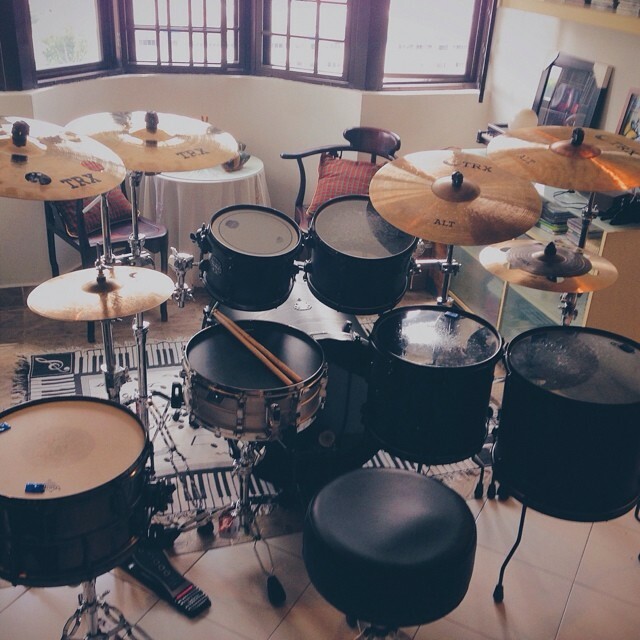 “Set up my whole kit for the first time since I bought it last February since my schedule opened up this morning. I recently ordered some top notch Pearl Hardware so I took the opportunity to play with ideas and tinker. Finally setting all this up made me really happy, but sad at the same time. How I wish I could leave it set up like this to practice on. 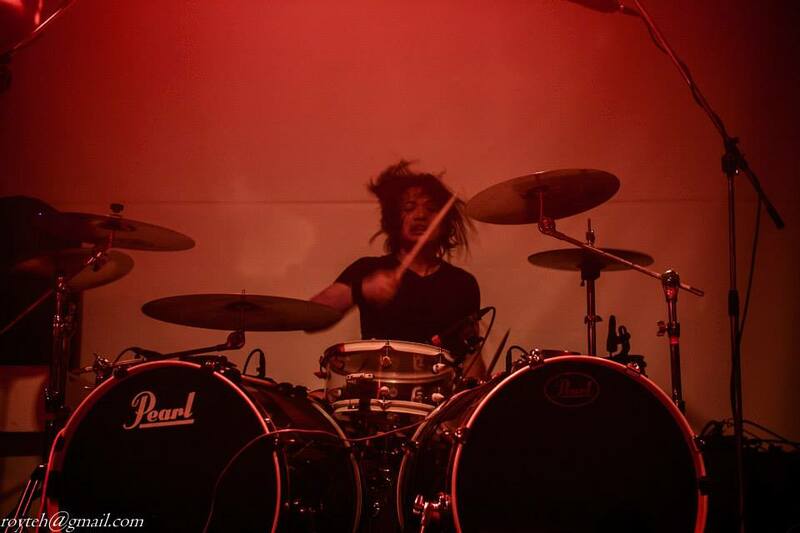 My favourite young drummer in the world Aaron James Lee: looks like a kid, plays like a veteran. Powerful, mature playing all year round in any situation. No wonder he is one of the most in demand drummers out there. Here he is with “The Suitcase” at The Esplanade Outdoor theatre, a band that is essentially a young “Supergroup” of the best musicians in jazz and contemporary music. Aaron dual-wields Birch and Aluminium Pantheon Percussion snares for almost every gig. Hear it to believe it! Pantheon Percussion: Aaron James Lee ‘live’ with The Steve McQueens at the Esplanade Concourse. 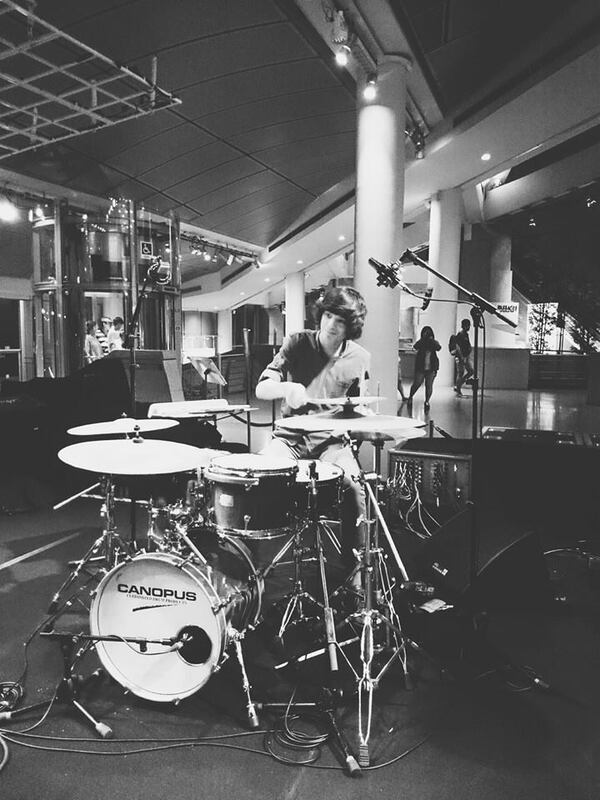 Great shot of Aaron James Lee ‘live’ with The Steve McQueens at the Esplanade Concourse. 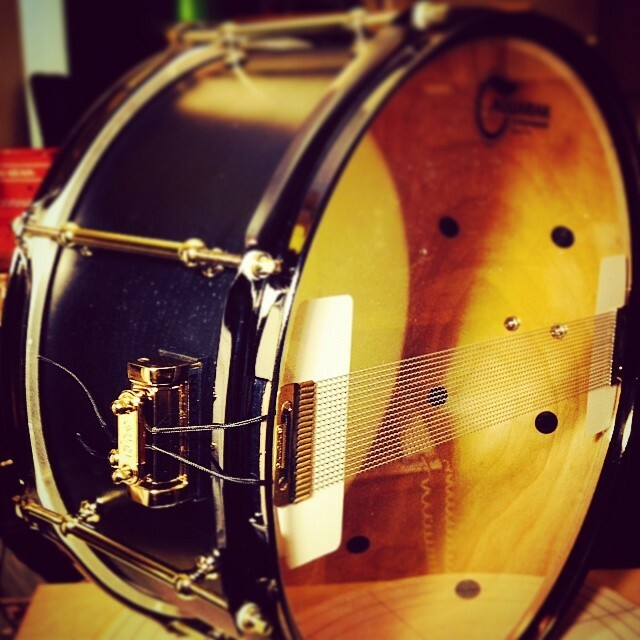 Aaron just can’t live without his black and gold Birch snare… just try separating the two. You can try.